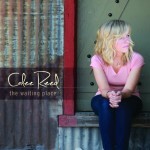 While her mother underwent treatments for terminal cancer, Calee Reed wrote the songs that would become her debut album The Waiting Place, releasing May 8th. The effort helped buoy Reed up during that painful time. It was her way of finding hope in the devastation of the disease. Now, a year after her mother’s passing, Reed hopes the finished album will help others who are dealing with similar struggles. During the month of May, all proceeds from the download of Reed’s original song “She Put the Music in Me” (on iTunes) will be donated to the Huntsman Cancer Foundation. A music video for the song was made in tribute to Reed’s mother and will debut before Mother’s Day. There will be two concerts to celebrate the release of the album. Have you done any good today? This reminds us that we have helping hands and should help others as often as we can. Les Miserables Broadway star Sandra Turley released her debut album featuring a collection of popular musical hits. She teamed up with Shadow Mountain Records to produce the self-titled album Sandra Turley: On Broadway. With a sound straight from the stage, Turley’s voice brings a new life to favorite Broadway hits including “Popular“ from Wicked, “Think of Me” from Phantom of the Opera and “On My Own” from Les Miserables. Turley feels that show tunes are the ultimate way to tell a story, “The melodies in this album tell tales of their own, but coupled with masterful lyrics and poetic imagery, these songs become stories that can capture our hearts,” Turley said.